August is 1998 Month - Let's Celebrate One of the Greatest Years in Gaming! It’s no secret that we thoroughly enjoy sharing our opinions on games and even arranging said opinions into ranked lists. We do it on a yearly basis. In the 10 years that we have been doing this, we have seen a lot of amazing years come and go and the industry remains as strong as ever because of the myriad of amazing and creative content that is out there for us to experience. However, the year of 1998 has long been considered by many (ourselves included) to be one of the greatest years that the industry has ever seen. Don’t believe us? Just think about it for a second. The year ushered in some of the most beloved franchises that are still going strong today like Metal Gear Solid, Fallout, even 3D Zelda, and many more! It’s been 20 years since that amazing year so we will be dedicating the entire month of August to celebrating this esteemed chapter in our beloved industry! 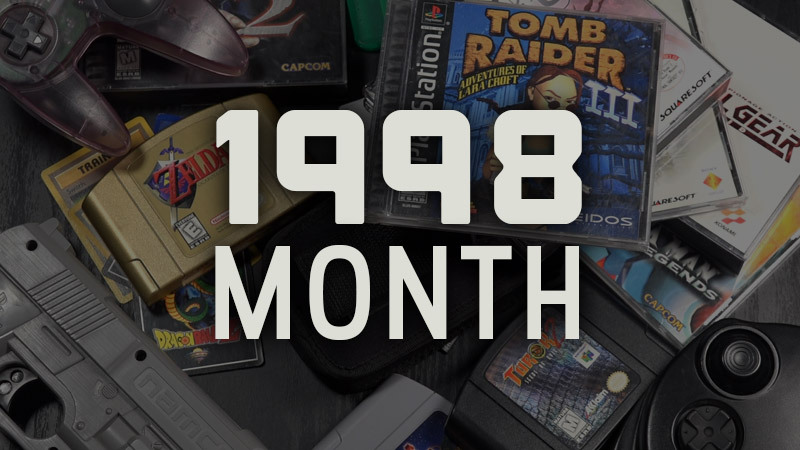 That means that all month long, our stream will feature nothing but games that came out in 1998! Even our podcasts throughout the month will feature discussion inspired by 1998! It all starts tomorrow, August 1st on 4PP.tv! Nick will be live at 7pm (CST) as he blasts his way through one of his favorite games of all time, The Legend of Zelda: Ocarina of Time! This Thursday, we will be swapping out the usual podcast for a group multiplayer night featuring a bevy of cool games that came out in 1998! It’s going to be a great month and we hope you will join us for the festivities! Be sure to check out the graphic above for a taste of what’s to come and head over to our Calendar page for a more detailed look at what’s to come! Please Note - We know August has become somewhat of a high profile month for modern game releases so we will be recording episodes of 4Player Plus that will be focuses solely on some of these big games like Chasm, Guacamelee 2, and Dead Cells. These podcasts will be recorded off the stream so as not to taint the sanctity of this themed month so you’ll have to keep a close eye on Patreon and our usual Podcast feeds if you want to hear our thoughts on these new releases!